that increase website traffic and boost sales. See how Faithful Platform uses VocalReferences to sell more engagement rings with video testimonials. Only we offer a single social ratings display to highlight your rating and reviews from all your social media accounts. Ratings are automatically updated so your latest results are front and center. Be Ready to Capture at Any Moment! It’s hard to find a website today that does not have customer testimonials & feedback. There is nothing like customer testimonials to generate good vibes, original content and portray a positive online reputation for your business. However if your website is sitting on static, dated, text testimonials and they are hidden deep inside your website then you are really not getting all the value you can from your testimonials. Here are 6 things you can do now to improve the value of your customer testimonials. Share your testimonials on social media. Expose those great customer comments to those who find you on Facebook, Twitter, Google+ and LinkedIn. The more you can build a following and the more you can produce content for that following, the better you will be positioned to get more social traffic from your customer testimonials. Let your customers do the talking via customer testimonials and focus your social content on your business’s products and services in the most positive light possible. Collect testimonials on multiple platforms. Almost every business directory today has a place for customer feedback and testimonials. It’s not the easiest way to collect them, but whatever you can do to increase the number of testimonials on these directories will give visitors of those directories a reason to try you out. Recently, there has been a crackdown by the major review sites to remove fake reviews and testimonials. Hopefully this trend will continue so that those who sincerely and honestly use testimonials to promote their business will continue to benefit from this feedback channel. Don’t be satisfied with old testimonials. Testimonials are like bread; the more they stay on your site the more they become - stale. Think about how you would feel about a business who hasn't been able to find a satisfied customer to recommend them for over a year. It raises some questions as to their most recent performance which may or may not be true. Why leave that thought in a potential customer’s mind. Online visitors want to see current content which makes your site more relevant to them. Video. Collect video testimonials now. Embed them in your site. Upload them to Youtube. 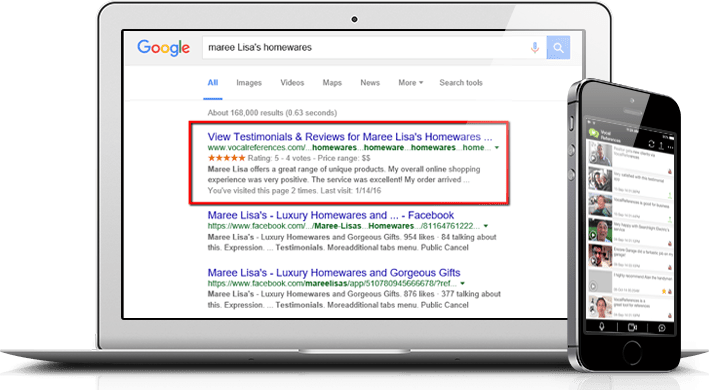 Google is indexing video separately from text so you benefit twice from testimonials. Video testimonials will also give you another opportunity for a valuable SERP. In many independent studies, video has been proven to be a more effective medium for convincing visitors to become customers. Why? Because they show authenticity, which is what potential customers are looking from your customer feedback. Blog about your customers and their testimonials. It seems that almost every marketing site, guru and digital consultant is trying to convince us that content is the key. Product content or wither and die. What most businesses find is that coming up with original, readable, interesting content is very difficult to do and over a long period of time. That’s where your customers and customer experiences can come to the rescue. If you are looking for new and innovative ways to show how valuable your products and services are then focus on a customer who has given you a testimonial, their business, reasons for using your product or services and how they are using your products is an excellent way to keep the blogging going strong in a very positive way.